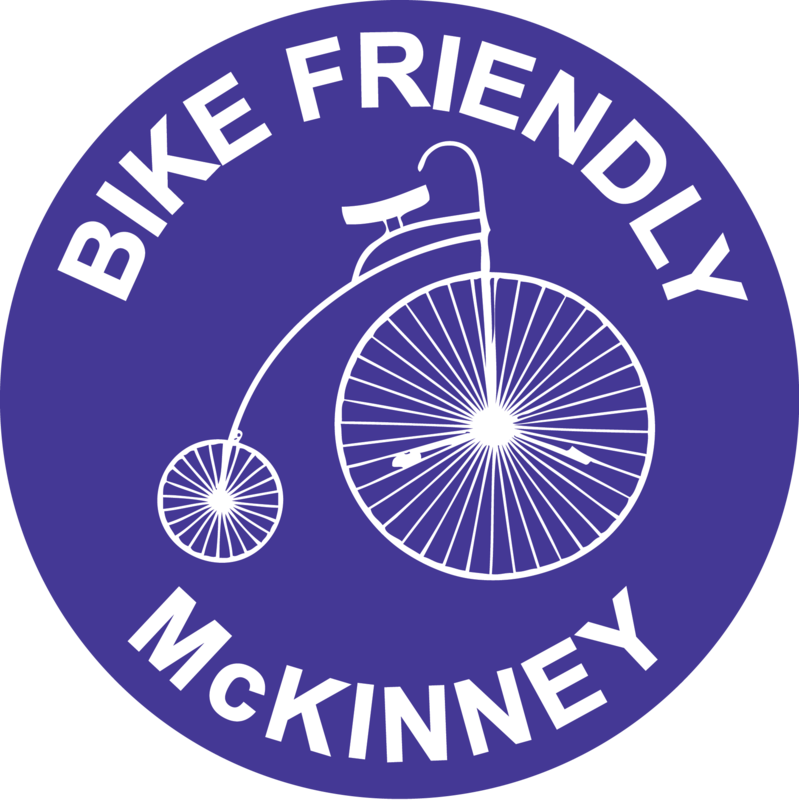 Now that Bike Friendly Richardson has successfully held our very first Bike To Work Day event, we’d like to share the steps we took to make it happen. 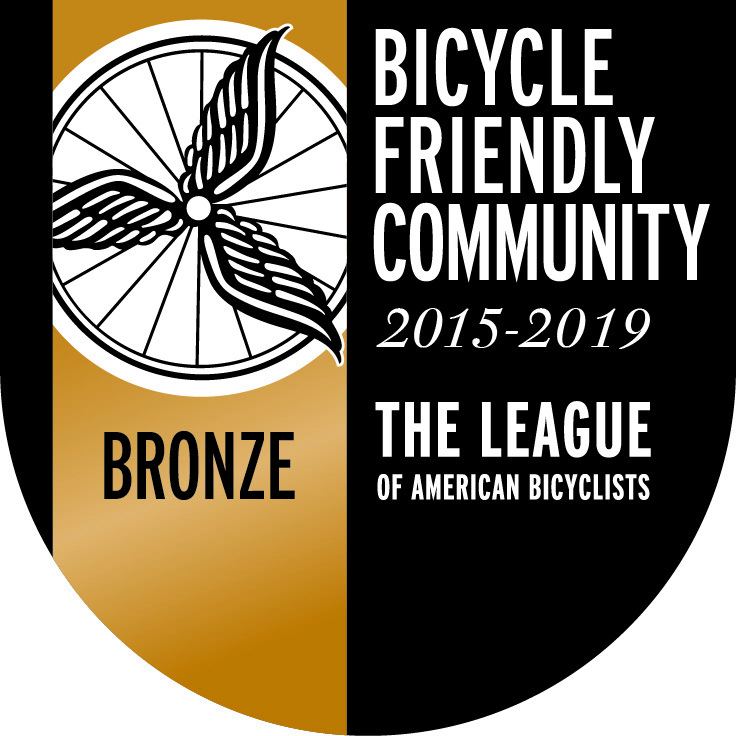 One of the goals for this year’s event was that it could serve as a template and an inspiration to other bicycling groups, cities, and organizations for next year and the years to come. 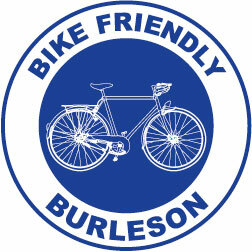 Bike Friendly Richardson is an all-volunteer group with no operating budget. 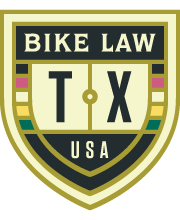 So once we decided that we wanted to have breakfast for bike commuters, we knew that we would need financial sponsorship from another organization. 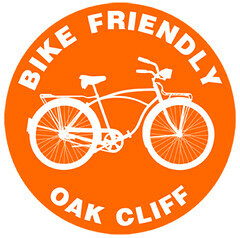 BikeDFW was our main partner for this event. They provided a tent, chairs, tables, coolers, literature, and paid for coffee and pastries. 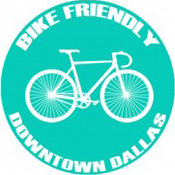 BikeDFW was also instrumental in reaching out to DART and securing permission to use Arapaho Center Station as our venue, and getting Richardson Bike Mart’s participation in sending one of their mechanics to provide free bicycle tune-ups. Once we had a venue, Richard contacted local stores and restaurants to see who could donate hot food and some more drinks. Whole Foods, Taco Republic, and The Egg And I all graciously agreed to be a part of the event. Dr. Pepper Snapple Group also donated bottled water and handed out Neuro Energy drinks. It was also a good opportunity for these businesses to get more recognition in the community and we were glad to be able to work with them. 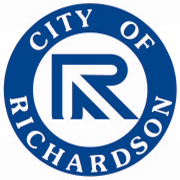 We also cooperated with the City of Richardson by notifying them of the event, and checking whether we needed to fill out any permit information. 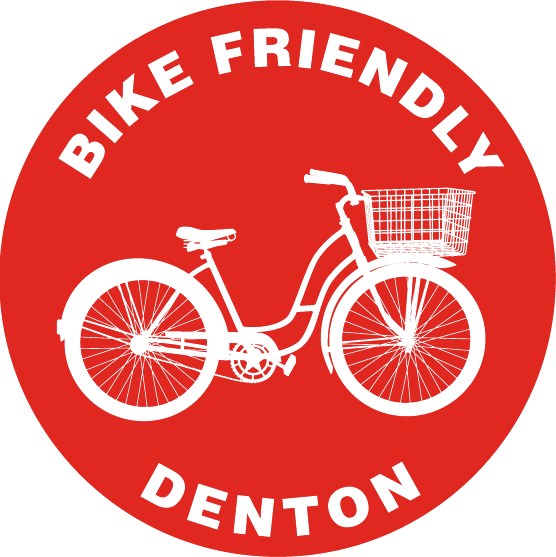 Additionally, the City’s Bicycle Coordinator, Dave Carter, provided us with maps of Richardson’s bicycle facilities to hand out at the event. 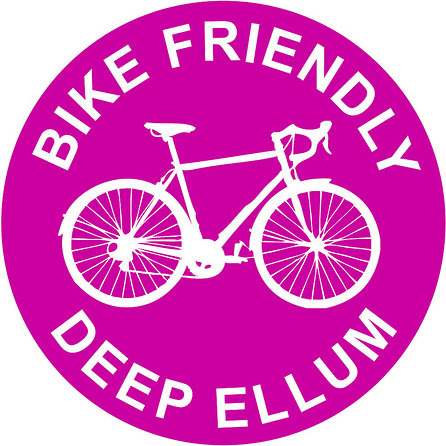 BikeDFW President, Marc Mumby, designed an event poster, which we posted on Facebook, blogs, and asked our sponsors to post in their shops and online. 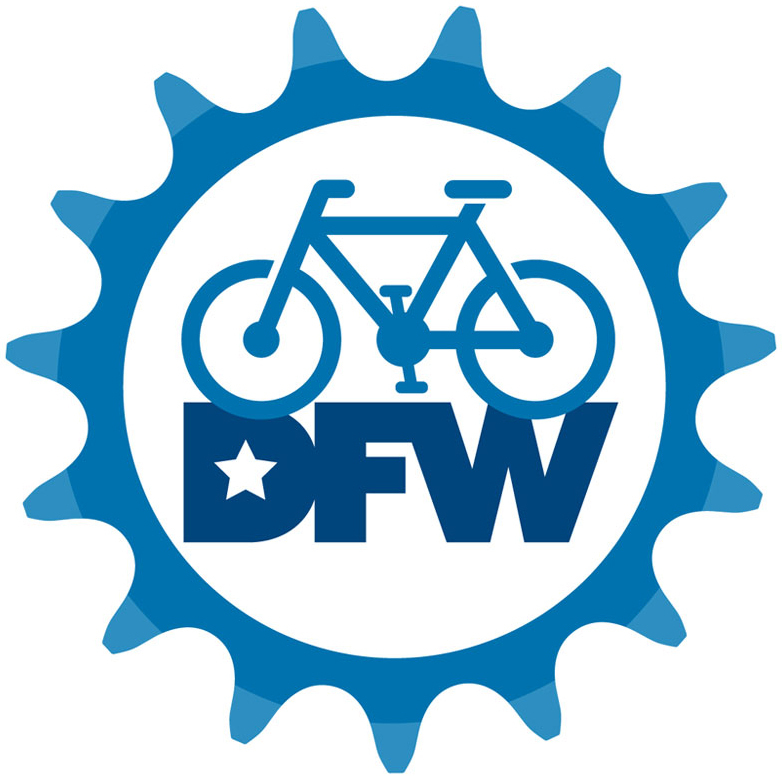 BikeDFW helped us coordinate volunteers to pick up the equipment and supplies, set up and run the booth, and take down the booth and return the equipment to BikeDFW. Now that we have a relationship with some community partners, and have been through the steps involved, we have a better idea of how to put future events together. 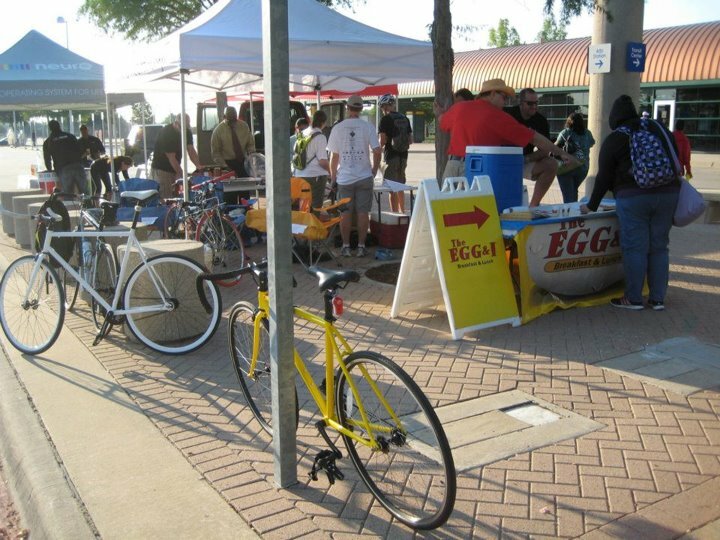 With a Bike to Work Day event, it’s important to decide what your event is about, and plan accordingly. 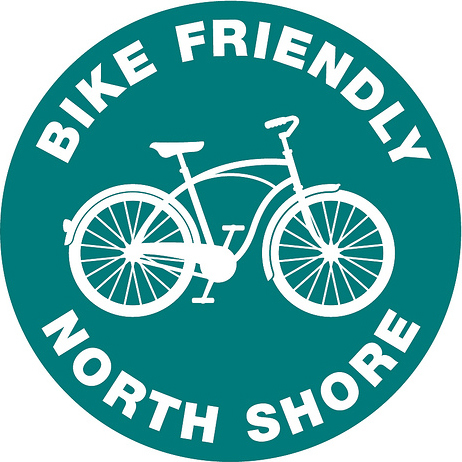 Some Bike To Work Day events, as our neighbor to the west, Steve A. noted, can seem to be more about cyclists than for cyclists, if the event schedule or location doesn’t reflect cyclists’ actual commuting habits. We tried to make our event about appreciation of and support for commuters and aspiring commuters, so we scheduled the event from 7 AM to 9:30 AM. We probably could have even opened it up a little bit earlier. We also did our best to choose a location that was on multiple commuting routes. 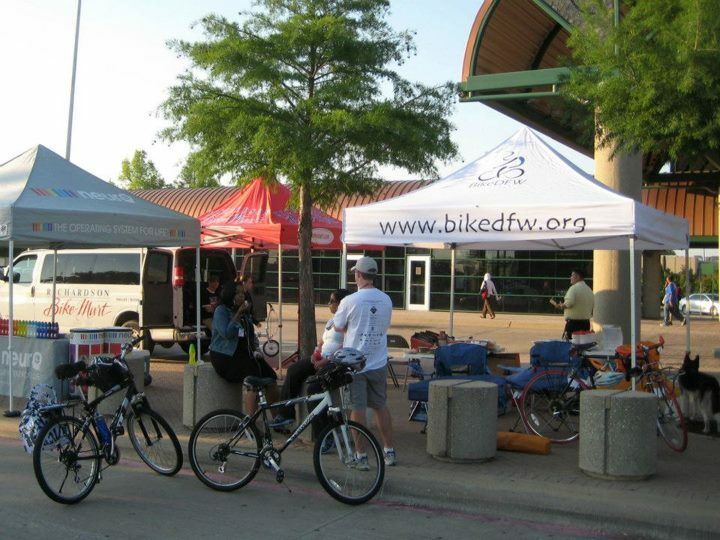 Arapaho Center Station is the busiest of Richardson’s four DART stations, is popular with multi-modal cyclists, and is also located next to the Central Trail. As well, it’s not uncommon to see folks cycling down Greenville early in the morning. By my unofficial count, we had about 30 cyclists stop at the booth. Some were on their regular route and a few made a detour for some hot breakfast and to talk shop. 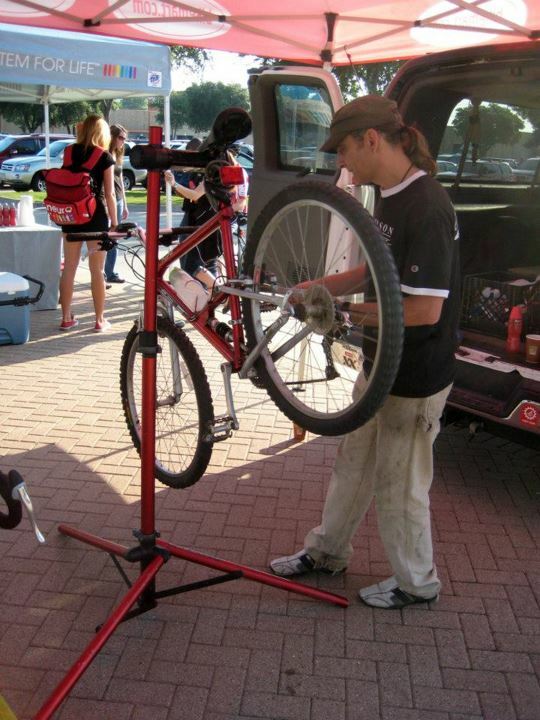 The bicycle tune-ups were utilized and definitely appreciated! Although we weren’t sure what to expect, we believe our first Bike To Work Day was a great success. 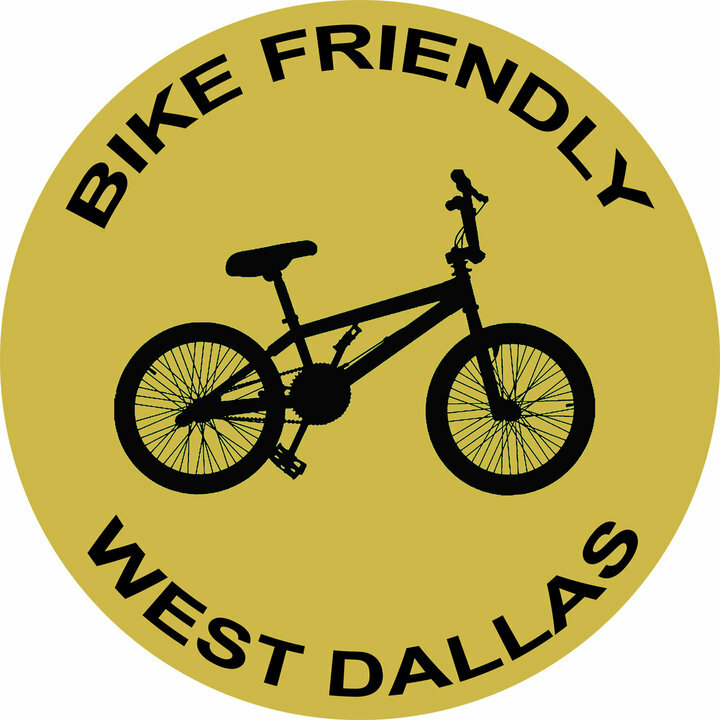 From the comments I heard and pictures I have seen, you guys were certainly one of the best Bike to Work events in the DFW area. I just wish I could have participated. 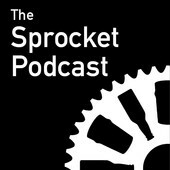 A huge Thanks from me for what you guys are doing for cycling in the area! One of the best? Were there any others? Fort Worth had an event and I believe DART and the T have an event at Centerpoint station every year.